Honorary Professor, The Institute for Basic Research, Palm Harbor, Florida, U.S.A. Fractional Calculus and Applied Analysis, Volume 3, Number 3, 2000 (see Pages 319-325) (Dedication Message for his 60th Birth Anniversary). Jnanabha, Volume 31/32, 2002 (Special Issue Dedicated to his 62nd Birthday). Fractional Calculus and Applied Analysis, Volume 8, Number 4, 2005 (see Pages 387-392) (Dedication Message for his 65th Birth Anniversary). Applied Mathematics and Computation, Volume 187, Number 1, 2007 (Special Issue Dedicated to his 65th Birth Anniversary). Bulletin of Mathematical Analysis and Applications, Volume 4, Number 2, 2010 (Special Issue Dedicated to his 70th Birth Anniversary). Fractional Calculus and Applied Analysis, Volume 13, Number 3, 2010 (see Page 342) (Dedication Message for his 70th Birth Anniversary). European Journal of Pure and Applied Mathematics (Special Issue on Complex Analysis: Theory and Applications), Volume 3, Number 6, 2010 (Special Issue Dedicated to his 70th Birthday). Fractional Calculus and Applied Analysis, Volume 13, Number 4, 2010 (Special Issue Dedicated to his 70th Birth Anniversary). Applied Mathematics and Computation, Volume 218, Number 3, 2011 (Special Issue Dedicated to his 70th Birth Anniversary). Advances in Difference Equations (Springer Open-Access Journal), Volume 2013, 2013 (Special Issue: Proceedings of the International Congress in Honour of Professor Hari M. Srivastava). Boundary Value Problems (Springer Open-Access Journal), Volume 2013, 2013 (Special Issue: Proceedings of the International Congress in Honour of Professor Hari M. Srivastava). Fixed Point Theory and Applications (Springer Open-Access Journal), Volume 2013, 2013 (Special Issue: Proceedings of the International Congress in Honour of Professor Hari M. Srivastava). Journal of Inequalities and Applications (Springer Open-Access Journal), Volume 2013, 2013 (Special Issue: Proceedings of the International Congress in Honour of Professor Hari M. Srivastava). 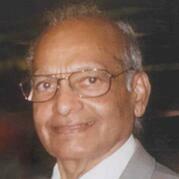 Analytic Number Theory, Approximation Theory, and Special Functions: In Honor of Hari M. Srivastava (xi + 880 pp. ; ISBN 978-1-4939-0257-1) (Gradimir V. Milovanovic and Michael Th. Rassias, Editors), Springer, Berlin, Heidelberg and New York, 2014. Jnanabha, Volume 45, 2015 (Special Volume to Honour Professor H. M. Srivastava During his Platinum Jubilee Celebrations). Journal of Mathematical Analysis, Volume 6, Number 5, 2015 (Special Issue in Honor of the 75th Birthday of Professor H. M. Srivastava). Ilirias Journal of Mathematics, Volume 4, Number 1, 2015 (Special Issue in Honor of the 75th Birthday of Professor H. M. Srivastava). Journal of the Ramanujan Society of Mathematics and Mathematical Sciences, Volume 4, Number 2, 2015 (Special Issue Dedicated to Professor H. M. Srivastava on his 75th Birth Anniversary).